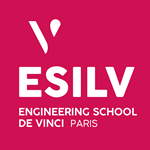 Paris Games Week: After Impulsion, Who Will Win the Best Student Game Award? 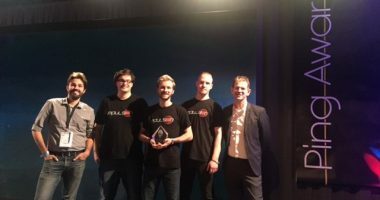 Last year, three IIM students won the award of the Best Student Games with Impulsion, at the Ping Awards ceremony, held during Paris Games Week. Since 2008, this annual convention is the place to be for all video game fans and professionals. 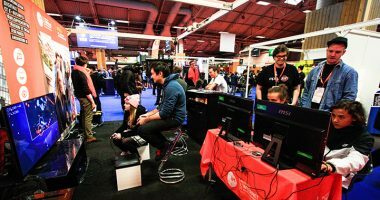 The Paris Games Week is the perfect time for young developers to show that they do got game! 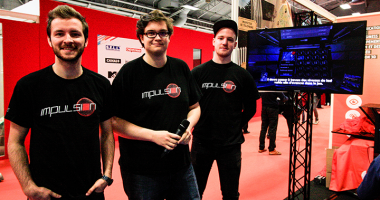 Rémi Bertrand, Maxime Lupinski and Hugo Verger, three students majoring in video games at digital school IIM, presented their game Impulsion at last year’s Ping Award ceremony during the Paris Games Week. Impulsion is a First Person Shooter Platform-Game taking place in a futuristic environment. The mechanics are very similar to the famous Portal series. The player is a robot who has to perform a series of tests to get out of a spaceship. To do so, the player can use two guns that produce force fields in order to alter the rules of physics : one gun can make the player jump higher and speed up the environment, while the other allows the player to slow obstacles down. The game is made so the players can understand its mechanics by themselves. There is no frustrating game-overs either, since dying only takes the player back to the beginning of the level. The levels get harder and harder as the game goes on, and will test the player’s logic and coordination. They also have a time system for those who like challenges. The game has a story mode to let the player discover the environment and level up at his or her own pace, as well as a competitive mode to show their skills all over the world. Winning the Ping Award was, of course, a huge boost for the three students’ career. Numerous video game companies asked the three students for a partnership, including Playdius, an independent game producer. This latter’s offer matched Rémi, Hugo and Maxime’s expectation the best. Impulsion has its own page on Playdius’ website since June and it can be purchased on Steam since last July. Later this year, it was nominated for the Best Student Game Award at Los Angeles’ Game Awards and at the Brasil Independent Games festival, which allowed Rémi, Hugo and Maxime to gain a worldwide visibility. 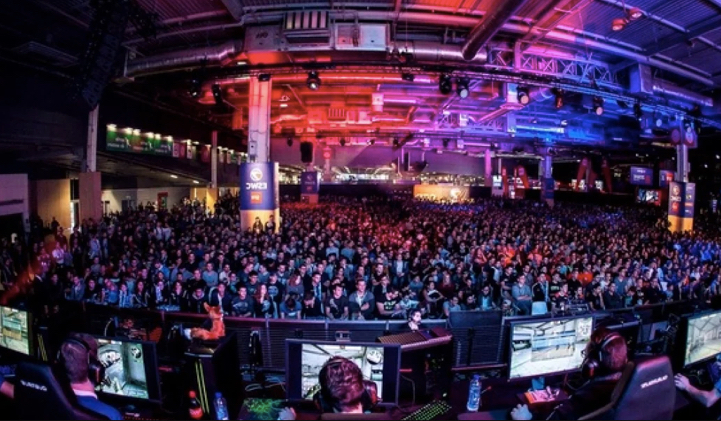 Like each year, IIM will be at the Paris Games Week. Students will expose their creations. 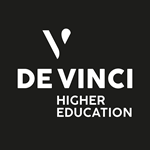 The perfect opportunity for them to get in touch with other students, casual players and professionals. 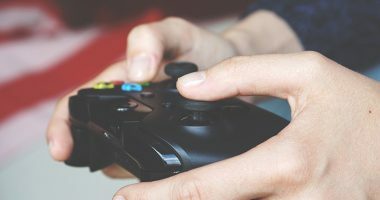 This year, IIM has also announced the opening of three new Video Games Master’s for 2019. 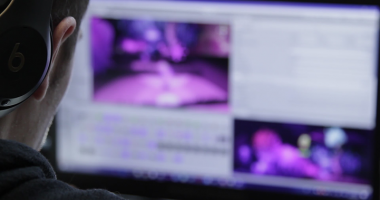 The Game Design Master’s will teach the students how to design a video game. The goal is to master all the tools to create the most immersive experience possible. The student will learn all the necessary skills to video game making. The master’s is aimed at students with a taste for design, hard work and creativity. It will lead to positions as Game Designer, Level Designer, Economic Designer, Narrative Designer, UX Designer, Creative Director, Game Director. The Game Programming Master’s will teach how to develop a video game. The goal is to combine strong technical skills and an excellent sensibility to design in order to give the player the best experience. 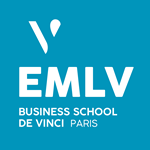 This Master’s is for those who are not afraid of challenges and who are open to new ideas. The students will gain skills in gameplay mechanics, AI, VR/AR, physics, online, shaders and more. It will lead to jobs as Gameplay developer, Motion Developer, Tools Developer, AI Developer, Graphic Developer, Online Developer, Technical Director. The Game Art Master’s will teach the students to create graphic environments. They will gain strong skills in graphic design, character design, interface, animation and special effects. They will also learn to use game engine and video game softwares. This Master’s is for those who love arts and creation. It will lead to positions such as Infographer 2D/3D, Animator 2D/3D, Character Design, UI artist, Technical Artist, VFX/SFX artist, Artistic Director, Creative Director. Students can graduate from those Master’s in two years. They can apply after IIM’s Video Games Bachelor or three years of study. 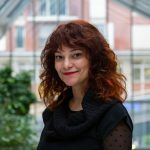 Interested in learning Video Games in France? 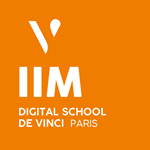 Check out Digital School IIM’s website! 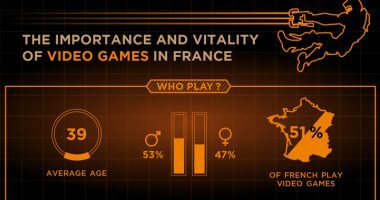 IFOP Survey: What Are The French Favourite Video Games?